Who can qualify in IA for a sales tax exemption on utilities? Any manufacturer, industrial processor or restaurant can qualify for a IA sales tax exemption on utilities. The portion of electric, gas, and water used from any meter can qualify for a state sales tax exemption. Therefore once a utility supplier receives a valid sales tax exemption certificate, the sales tax rate is reduced based on the % of consumption required for production of the product. A utility study described below is required to make that percentage determination valid. How can one obtain the sales tax exemption on utilities in IA? A valid exemption certificate Form 31-113b must be filed with the respective utility company. A utility study which details the percentage of consumption used for direct production must be completed and kept on file. The certificate is good for 3 yrs. at which time it can be renewed. No. A company may submit a sales tax exemption certificate for utilities used in production. However IA recommends that it be completed by an experienced professional knowledgeable in the requirements of the IA tax code. The State has limited time to review inaccurate utility studies. At risk is approval of the exemption and all future savings. A predominate usage study is required in most states however it is not a requirement in IA. Basically the predominate usage requires that over 50% of any meter’s consumption, be it KWH, ccf’s, or gallons be used for direct production vs. non-production. However, IA does require a utility study which is used to determine the percentage of exemption or production usage for any particular meter. The study must list each piece of equipment and its annual KWH, ccf, or gallon consumption which is used in production and non-production. Production is defined in the tax statutes as any equipment that physically makes a change to tangible personal property. 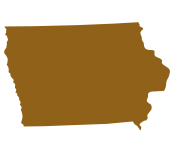 What is the scope of a professional performing the utility exemption work in IA? Accurate completion of the utility study: The utility study defined above is time consuming and laborious. Choosing a professional avoids a lot of time and frustration. On Your Mark performs and certifies the utility study at no charge. Claim for refund. Exempt utility meters can qualify for a refund for sale tax paid in prior period. On Your Mark will pursue any refund available for the full extent of the statute of limitations - 36 months. Entire process handled from start to finish: On Your Mark performs the entire exemption service with little or no time spent by customer personnel On Your Mark expects to have the exemption completed and filed in 30 days from authorization to proceed. Risk-free Method to Obtain the Utility Sales Tax Exemption: The utility study is in On Your Mark’s scope of work and is performed at no charge. If after evaluation there is no savings to the company, there is no charge by On Your Mark. The only fees occur after the company receives savings. Benefits of the sales tax exemption on utilities: In IA, a company can expect a 5-7% reduction in utilities once the application(s) have been approved, and the savings is reflected on the bill.